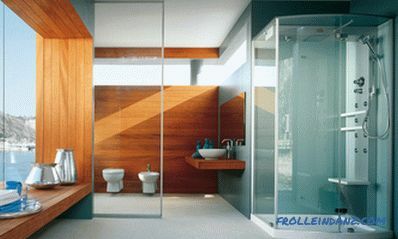 Often, old plumbing does not fit into the design of the room in which the repair was made, and it must be replaced. But what to do if you can’t install it in its place? If there are no problems with the sink, then with the toilet is not so simple, however, the use of corrugations helped to solve this problem. After reading the article, you will learn how to install the corrugation on the toilet, after selecting the appropriate product. 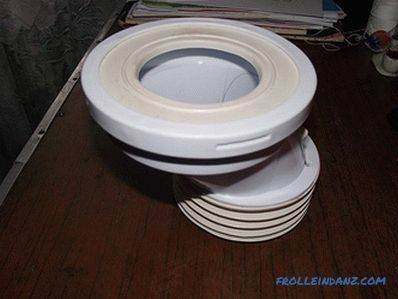 In fact, there are quite a few types of corrugations for the toilet, but people do not always get what they need, because they do not even know about the possibility of choice. In the photo you can see the corrugations, which differ in the shape and method of connection. They differ in characteristics that you need to know. Although the corrugation stretches like an accordion, it is still important to take into account that there are limitations. 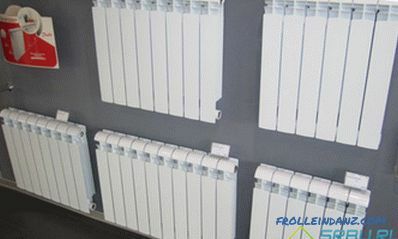 When choosing, find out what is the maximum length of the pipe in the stretched state. Corrugation can be both hard and soft. 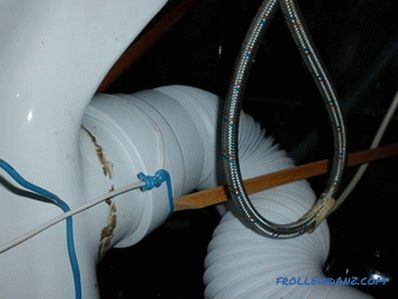 The rigid pipe is more resistant to wear and mechanical damage, but it will not always be able to bend as desired. When choosing a product, this factor should be taken into account. The stiffness of the corrugations is influenced not only by the thickness of the material from which it is made, but also by reinforcement. 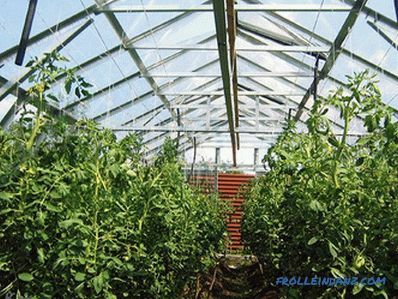 Springy thin wire increases the rigidity of the structure and prolongs its service life. The flexibility of such a pipe is very slight. 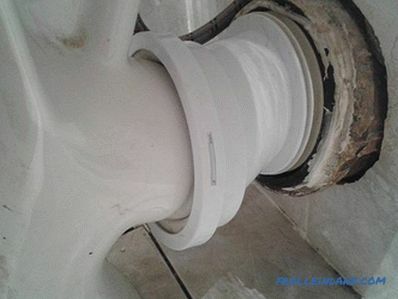 The use of the corrugated pipe greatly facilitated the installation of the toilet bowl, especially when it needs to be shifted or unfolded. But it is important to remember that this is not a panacea, and this type of connection, besides the advantages, has its drawbacks. For the installation of the corrugations do not need to have any special knowledge and skills. It is enough to familiarize yourself with the instructions described in the article, and the work can be done independently. Replacing the corrugations of the toilet bowl is easy to do with your own hands. 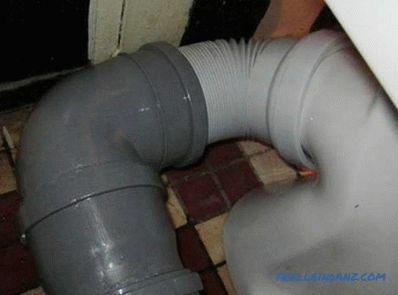 In some cases, this plumbing fixture can only be connected with a corrugated pipe. A soft tube has low strength - it can be accidentally pierced with a sharp object. Some chemicals react with the material from which the pipe is made, so its walls can gradually become thinner. Plastic will be deformed if you pour boiling water into the toilet. It is fair to say that the faience product may burst when in contact with boiling water. The life of a corrugated pipe for a toilet bowl is small, so an untimely replacement can lead to leaks, but considering how much a corrugation costs and the simplicity of its replacement, this drawback can be considered insignificant. If the corrugation is visible, the exterior of the room may not be very attractive. 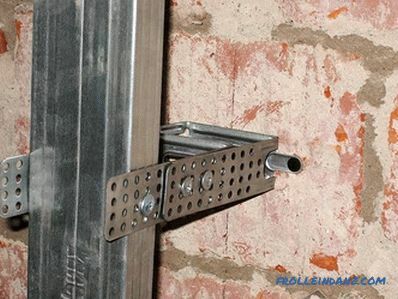 This problem is solved by installing the box, which leads to additional costs. A strongly stretched corrugation will sag, which will lead to an accelerated clogging of the pipeline in this place. In this case, you have to figure out how to support it. The disadvantage of any corrugated pipe (used for drainage of sewage) is that the ridge surface does not pass garbage well. Therefore, in comparison with an ordinary smooth-walled plastic pipe, this pipe will clog more often. There is a high probability of acquiring a low quality fake. After reviewing the information provided, as well as weighing all the pros and cons, you can proceed to the installation. Now we will consider how to put the corrugation on the toilet, depending on its configuration and location. 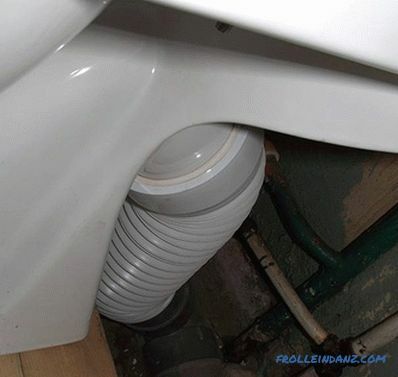 At first glance it may seem that the corrugation is not needed here , but if you take a closer look, you can see that the toilet is a bit unfolded, so the connection could not be made with a simple pipe. 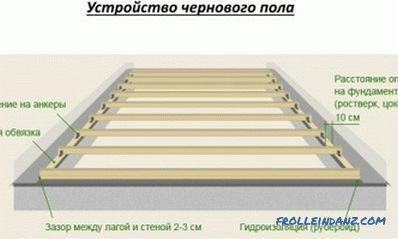 The connection could be made smoother using corner corrugation. Often this option is refused because such corrugations are made of more expensive polypropylene or polyethylene. 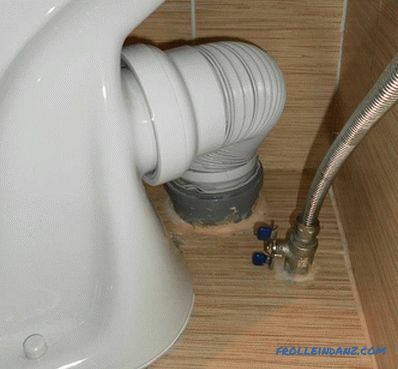 In this case, the sewer pipe is out of the floor, but because of the displacement the toilet bowl had to use a corrugated pipe. 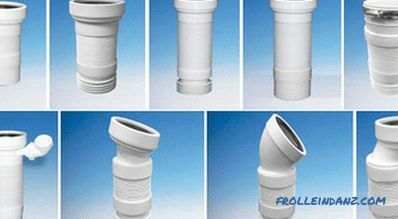 If you cannot complete the connection with plastic sewers because there is no product with a suitable angle, then nothing else is left but to use a corrugation. A soft and long corrugation was used for such a connection. Using a very long soft corrugation (or 2 spliced ), you can drastically change the location of this sanitary device. With the help of the corrugations, you can make the connection of the sanitary device shifted to the side. Alternatively, such a connection can be made mixed using different pipes. 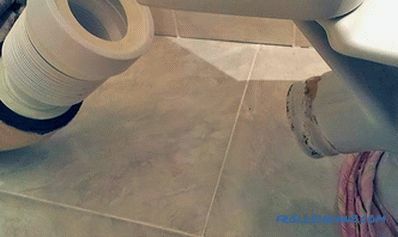 The connection of the toilet to the drain is not only corrugated. In some cases, especially when the device is located near the sewer pipe, it is better to use an eccentric. After choosing the appropriate corrugation, you need to install it correctly. Consider the procedure. Choose a suitable place and put a toilet there. Now you need to decide on the type of connection to the sewer. If possible, it is better to use a PVC pipe. Sometimes it is enough to just move the toilet to the side. If it works, then collect all the knees, stretching out the seals from them, follow the "connection" of the device and outline its location. 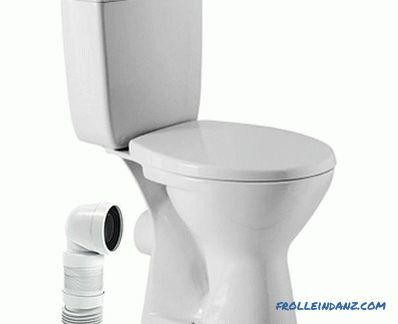 Fix the toilet on the floor with the fixing specifically designed for this purpose. 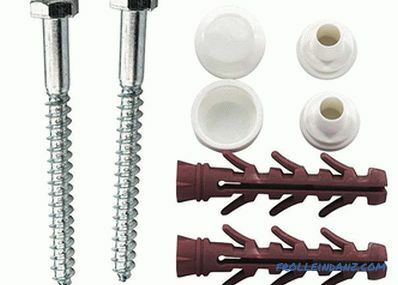 To prevent metal fasteners from rotting away from water, the toilet should be installed on a bed of cement-sand mortar or, after installation, cover the slots with sealant. When using corrugations, decide on its type and length - after installation it should not be stretched to the limit. It is also better to avoid strong bends. 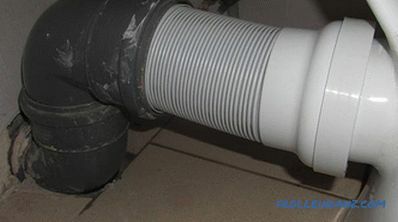 When the instrument is connected to the cast-iron sewer pipe, the socket is the latter should be well cleaned. In order to make the connection tight, the joints are lubricated with a sealant. 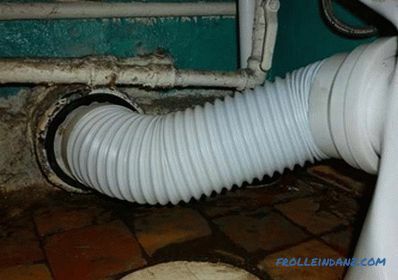 At first, the corrugation is inserted into the socket of the sewer pipe, and then it stretches on the neck of the toilet bowl release (the procedure may be different). So that during the stretching of the corrugations it does not jump out of the socket, it must be held. Check that the corrugation does not sag, and if necessary, support or tie it. If the question arises how to change the corrugation after it becomes unusable, there will be no problems with it - it is enough to remove it, remove the remnants of the sealant and put on a new one in the same way. After waiting a while, you can check the tightness of the connection by draining the water from the tank. If everything is in order, then from this point on the toilet can be used.